A frozen air handler is a common occurrence during a South Florida summer. But do you know what causes an air conditioning unit to freeze in the first place? Read on to learn a few common reasons for the interruption of cool air. One main cause of a frozen air handler is a clogged or dirty air filter. A dirty air filter causes your air handler to work much harder than it would with a clean filter. When your AC overworks itself it causes a block in the air flow. Blocked air means your system isn’t able to circulate, so the condensate sits on the coil and freezes it. If your air conditioning system is frozen, first turn off the system to allow it to defrost. Turn on the system’s fan and let it run for around 60 to 90 minutes. Swap the dirty filter for a clean one, then turn on the system again. If this doesn’t work, it could be airflow blockage in your home’s ductwork. Give us a call at (561) 922-3199 and we’ll be right over to help! Can’t seem to remember to regularly change your air filter? Join our Filter Club and we’ll take all the hassle out of remembering each month. Another common cause of a frozen air handler is leaking refrigerant. Refrigerant, or coolant, is needed to cool the air that flows through your air conditioning system and into your home. Unfortunately, a refrigerant leak is not as easy to fix as blocked air flow. A certified HVAC technician, like one from our Palm Air team, will need to come and inspect the coolant leak as soon as possible. 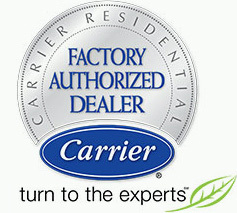 If you think your air conditioner is leaking refrigerant, call us now at (561) 922-3199 and we’ll be right out to help! An older air conditioner or a system that has not had a maintenance check in a while can lead to mechanical failures, another cause of a frozen air handler. Air conditioners 10 to 15 years old will generally begin to have mechanical issues, much like an automobile. Regular maintenance of your system will ensure that your AC’s life is as long as possible. However, even after a certain time, issues like refrigerant line breaks or broken blower fans will occur. Learn more about air conditioning repair, maintenance and installation options here or contact us online to schedule an appointment. There are many other causes of a frozen air handler. 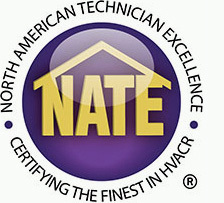 Contact our trained team of HVAC professionals at Palm Air AC in Boca Raton, Fla. to learn more about air conditioning issues and solutions.